Hi there, hope you had a great weekend! Today I have another pretty card created with a brand new JustRite Papercrafts July release stamp. 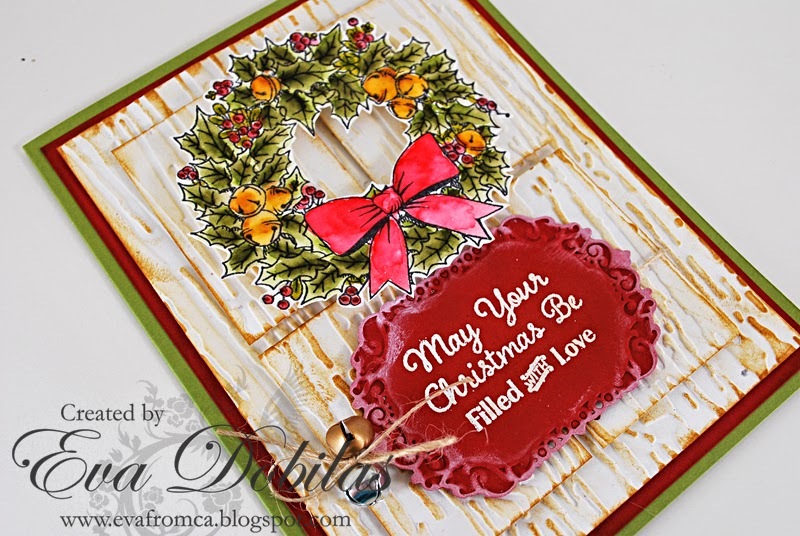 I created this fun rustic door inspired card using one of our new stamps called Christmas Wreath. I used a white card stock, which I embossed with Spellbinders Bark M-Bossibilities and went over with walnut ink. I cut 4 panels to make the door look and built my wreath on that. I stamped my wreath on white watercolor paper and painted it using Ranger Distress markers. I cut it out and I popped it up with pop dots for the raised look. I die cut a red label using Spellbinders Gold Labels Four dies and white embossed my sentiment and once again using pop dots I added it to my card. 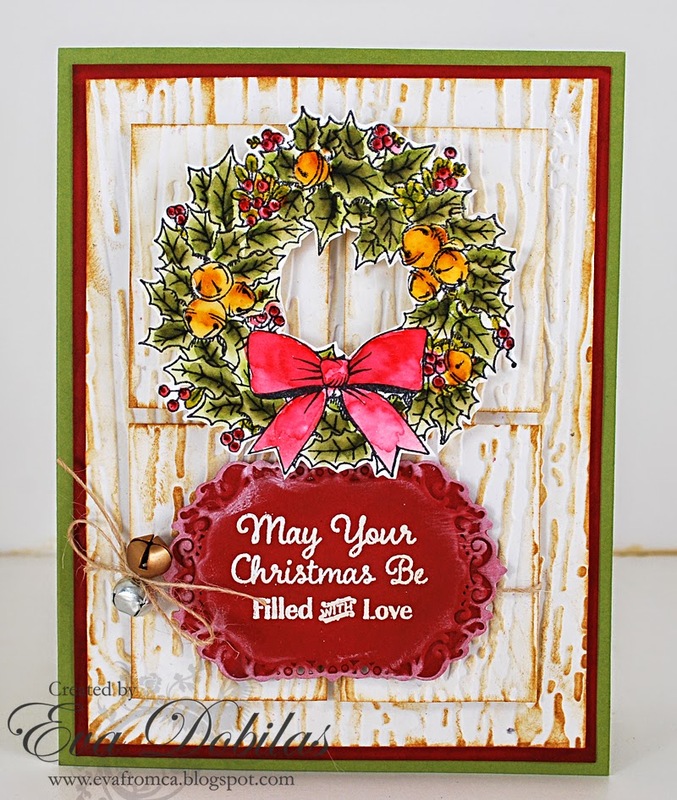 Here is what this beautiful Christmas Wreath Stamp looks like. Now it's time for you to jump over to my talented design team mates blogs, as they have some beautiful creations waiting for you. Here are the participating ladies today.